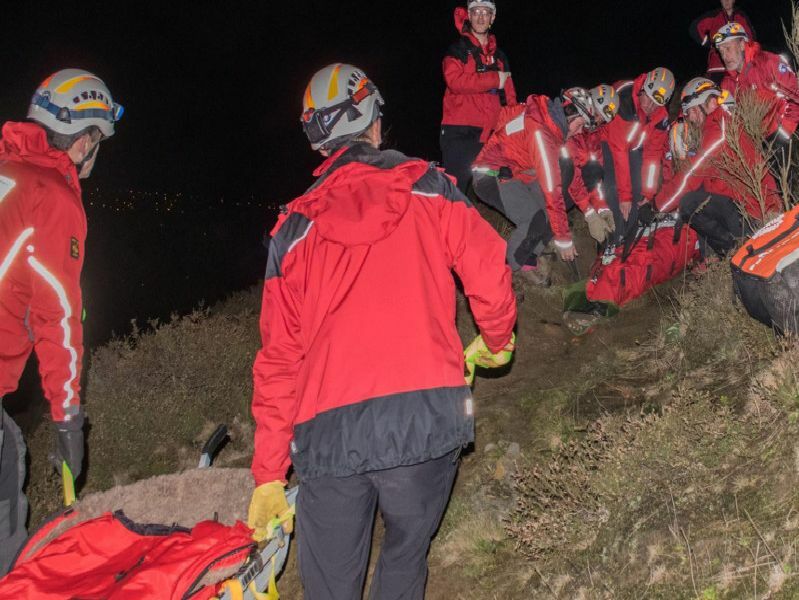 The Calder Valley Search and Rescue team received a request from Yorkshire Ambulance Service to help with the rescue of Claremount Road at 11.43pm last night. The man had fallen on a steep, rural track and sustained a suspected spinal injury. Twenty CVSRT membersresponded immediately and within nineminutes of deployment the team began to arrive at the location. Once the injured manwas comfortable he was packaged in a vacuum mattress and a winter casualty bag, then stretchered off the hill to the ambulance and handed over to the crew. Members prepared for the evacuation whilst CVSRT doctors provided additional medical assistance to the casualty.